I subscribe to these tenants when I do business and I find out most things fall into place afterwards. -Relationships are more important then immediate gain. -Be quick to listen, slow to speak. -Treat everyone with courtesy and respect. -Do not make promises you cannot keep. 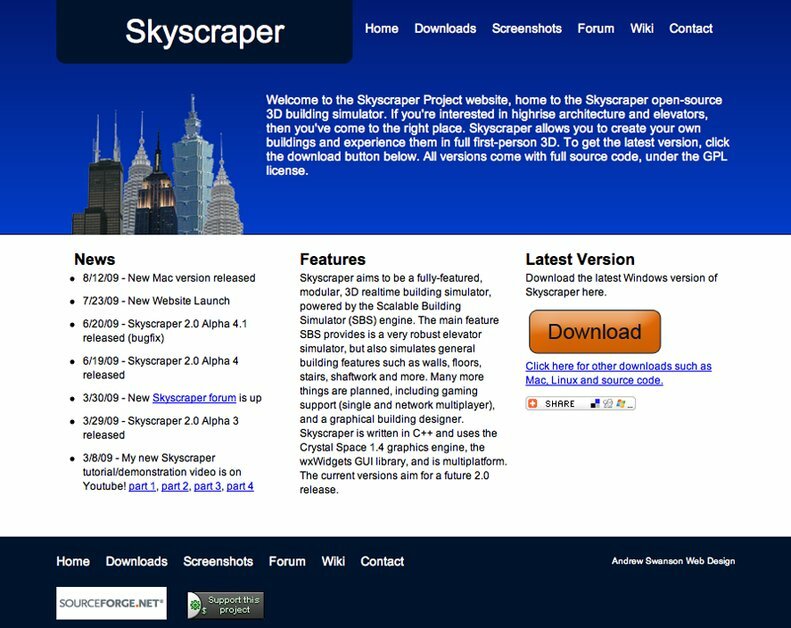 This is the design for the Skyscraper 3d simulator project. The site has been designed to allow for easy of updating and to give the project a professional web presences.